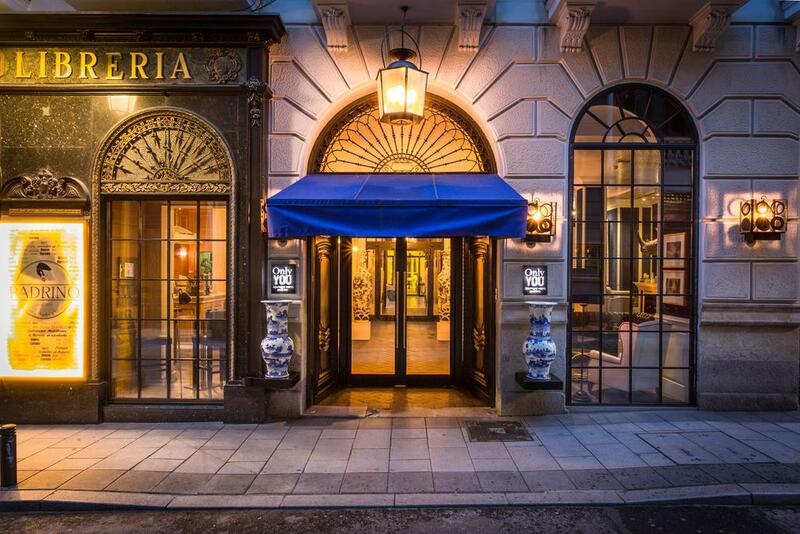 For the summer edition of European Business Magazine, our featured luxury hotel is the very charming and very unique boutique hotel situated in the Chueca district of Madrid. It’s not hard to hard to understand why this was voted Best city boutique hotel in Europe 2017 by our readers. Chueca is one of the coolest neighbourhoods in Madrid and literally, on your doorstep, you have access to the best cafes and terraced restaurants. You’ll also find late night clubs, which is a given as it’s a gay district, and with that comes the chic boutiques and cool shops. It really is a lovely part of Madrid – not too over the top but brimming enough atmosphere to make you feel like you are in the heart of the city. 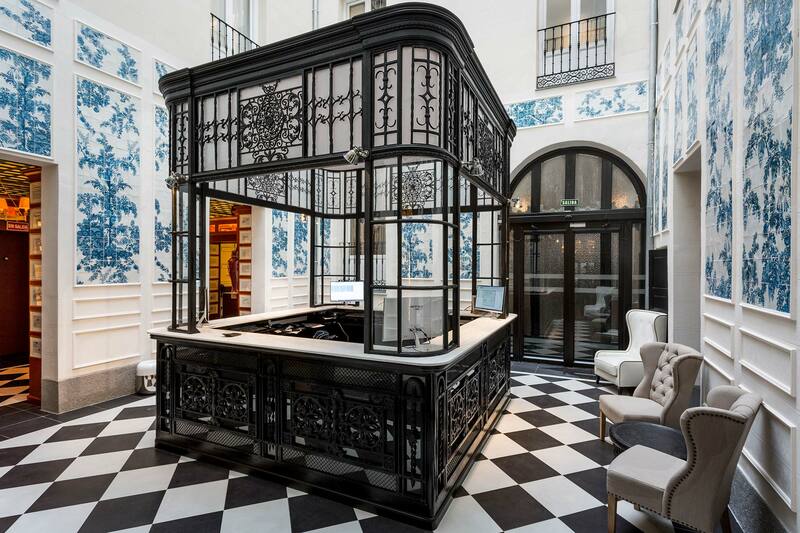 On arriving at the Only You Boutique Hotel Madrid was a welcome surprise. 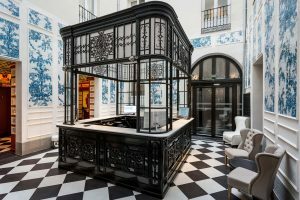 Completely different to most hotels with its unique design and myriad of areas where guests can eat, chat or pass the day reading, the hotel is a former palace but has been beautifully redesigned to what seems like a modern-day art piece. Each area, bar, room, and reception is completely different and with such unique design and detail, it would literally take you weeks to get you used to it. Each day you notice something new on the walls or the tiling, or maybe it’s the different art hanging on the walls, or the different menus at each bar, or the designer clothing on sale in the reception area, all intermingled with the friendliest and very elegant staff. As I arrived from London mid-afternoon I was welcomed by the doorman who showed me through to the main reception which seemed to be through a myriad of doors which was unique as most hotels simply don’t do this. It has a labyrinth like feel to the different areas when you first arrive, with each space having its own unique cool factor. The lobby is bright and airy, with lovely high ceilings and has a very rich period but contemporary detailing giving it an airy and sophisticated setting. The Azul lounge which is at the front of the hotel although accompanied with a deep fire and chesterfield leather sofas comes complete with the classic Spanish look, while the super chilled El Padrino bar (a former bookshop) has the perfect ambience for light bites and refreshments. The first thing I asked, as I knew I’d be up late, was the breakfast times. The response should be universal as far as I’m concerned as all hotels are too early with their breakfast times. The hotel has breakfast 24/7, which means you can get jambon and scrambled eggs at whatever time you want. Just lovely. The breakfast option comes with three A La Carte options, an express, healthy type and then typical Spanish all served to your table by very nice staff. The restaurant offers Mediterranean fare, so no mistaking where you are. Guests were a real cross section from family to couples and while staying a fashion photo shoot was taking place there which seemed perfectly normal. In fact, it seemed the whole downstairs was part of a fashion shoot. Massage treatments and facials are available in the Beauty Room, and if you need you can use the 24-hour gym. For the business executive, you have three meeting rooms while Wi-Fi is free throughout the hotel. Rooms are modern, airy, simplistic but with very hip touches used with great effect. Walls come upholstered in rich blue leather with contemporary art. 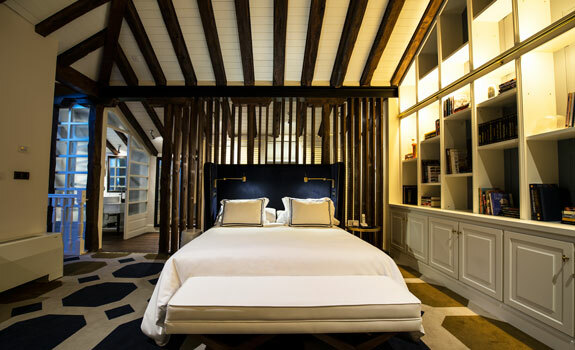 Beamed ceilings and studded leather headboards are the norm and some face onto the street with long terraces. It felt modern and chic; minimal but not stuffy. Bathrooms are a little on the small side, more so in the deluxe rooms, but all are decked out with luxurious showers. For 2017, I can see why this was voted best city boutique hotel by our readers. And those who go will definitely return. Those who haven’t, well you know what to do. 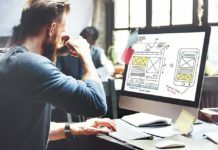 Next articleWhat Can Tesla Autopilot Teach Us About Business Process Automation?